Located in the Emerald City, we are proud to be a part of an exciting music and media scene that is Seattle Washington! JAM Recording Company offers a wide variety of media services that will surpass one’s expectations for customer service, timely results and practical affordability. 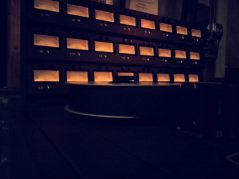 We provide excellence and cater to our clients with a full featured studio that offers both analog and digital recording. Regardless of your production size, we commit to your project on an intimate level that allows your creativity to blossom, while providing professionalism to achieve your complete satisfaction. Your time is valuable! When you need music for your media project, time is wasted scanning through thousands of samples. Multimedia, Radio, or Video, JAM Recording Company will create and license exactly what you need, to keep you on schedule. No project is too large or too small! Whether you want to record your band, license your music, create a soundtrack for a movie or a voice over commercial for a business, JAM Recording Company will accommodate you with the highest caliber of service. We look forward to being your first choice for all your media recording needs.